Chances are, if you’re reading this blog post you’re either tossing around the idea of adding a heat pump to your home or you’re interested in learning more about what a heat pump is, exactly. Well, hopefully this article will help you answer any lingering questions you might have. To start off, heat pumps are a very clean and efficient way to heat and cool your home throughout the year and thanks to Efficiency Maine, you can receive a $500 rebate for letting us install one at your home. 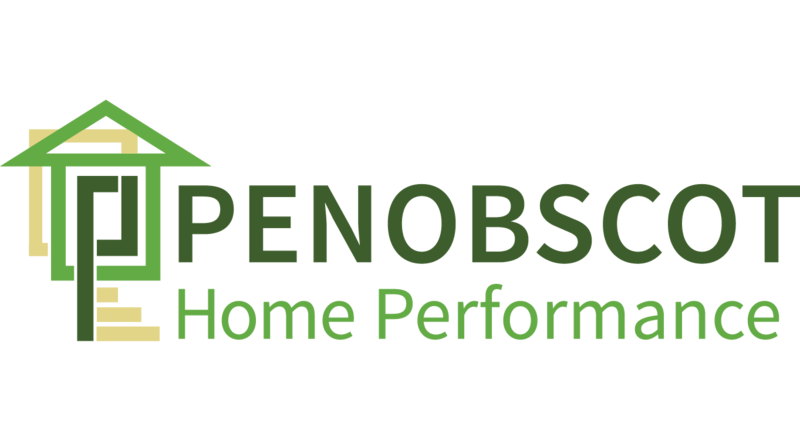 Additionally, we recommend to our customers during their FREE energy consultation that they also consider an air-sealing package, which also has a $500 rebate available. Put them together and you can receive up to $1,000 in total rebates toward making your home more comfortable. Now let’s get down to the details. As you probably remember from your high school science class, heat travels in one direction – from high concentration to low concentration. That is, heat moves from where it’s hot to where it’s cold. The heat pump, however, is a device that reverses that flow and moves the heat from areas of relatively low levels of warmth to areas of high levels of heat (i.e. taking the heat out of the ground or air and move it into your home). The technology behind the heat pump concept is largely credited to an idea Lord William Thomas Kelvin, a British mathematical physicist and engineer, had in 1852 when he challenged the notion that heat could only flow in one direction. This concept was put into practice when the American inventor Robert Webber burnt his hand on the outlet pipes of the cooling system of his deep freezer as he was performing an experiment on it this resulted in his idea of reverse the process and create the first functioning heat pump. This is what he did: first he took that same outlet piping that he burned himself on and hooked it up to a water heater. The heat from the pipes heated the water to a temperature that allowed steam to be formed. Next, he added a loop of piping on the water heater that created an internal circuit for the steam to travel through and return to the water source once it cooled and returned to a liquid state. Lastly, he set up a fan behind the loop of pipe which pushed the radiated heat into the room, causing its temperature to rise. As soon as he realized that his experiment had worked, he decided to build a full scale model to heat his entire home by using copper tubing filled with Freon gas buried in the ground to absorb the heat from the Earth. Fast forward to today and the science behind the heat pump has improved significantly and are now considered one of the most efficient and cost effective methods of heating your home on the market. In addition to helping make your home more comfortable, they also help lower your monthly heating and cooling bills and your carbon footprint. There are two main types of heat pumps available on the market: geothermal and air-source. Geothermal pumps take the heat out of the ground and pump it into your house whereas the air-source pumps pull the heat out of the air. 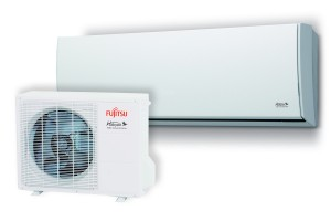 The heat pump we’re offering to install is the Fujitsu RLS3. The unit is what’s known as a mini split heat pump which means it has an indoor as well as an outdoor unit that work together to heat your home. The RLS3 has a Seasonal Energy Efficiency Rating (SEER) of 33, which is among the highest rated efficiency equipment available today. You can learn more about the system here. By now you’re probably wondering why you should invest in a heat pump. Well, we’ve broken down some of their advantages compared to traditional heating and cooling systems. 7. You may be eligible for up to $500 in rebates from Efficiency Maine, or $1,000 if you choose to include air sealing to the job! Although heat pumps are a remarkably clean and safe method of conditioning the air in your home, don’t toss away your old furnace just yet. Because heat pumps rely on the naturally occurring heat around the unit, they can be forced to lower their efficiency during bouts of extreme cold weather and should be used to supplement your already existing heating source during these times. This may sound like a deal breaker for many Mainers who live in the state during the winter months, but according to the manufacturer’s website, the unit we’re offering can still function properly at temperatures as low as -15 degrees. Now that you have a stronger understanding of what a heat pump does, why not give us a call at 207-808-7161 or click here to sign up for a FREE 1 hour consultation to learn firsthand what a heat pump or other weatherization upgrade can do for your home and your wallet.